.22LR revolver. 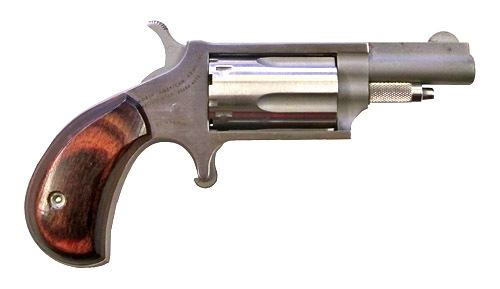 Stainless steel 5 round capacity 1 1/8 inch barrel single action only. 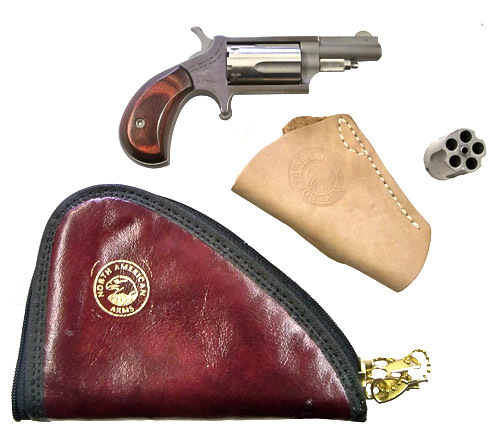 Supplied with leather holster and carrying pouch. Weight 4.5oz rose wood grips. UK nitro proofed.